Reading about the shocking incident at a hospital in the Indian city of Gorkhpur sent a shiver down my spine. 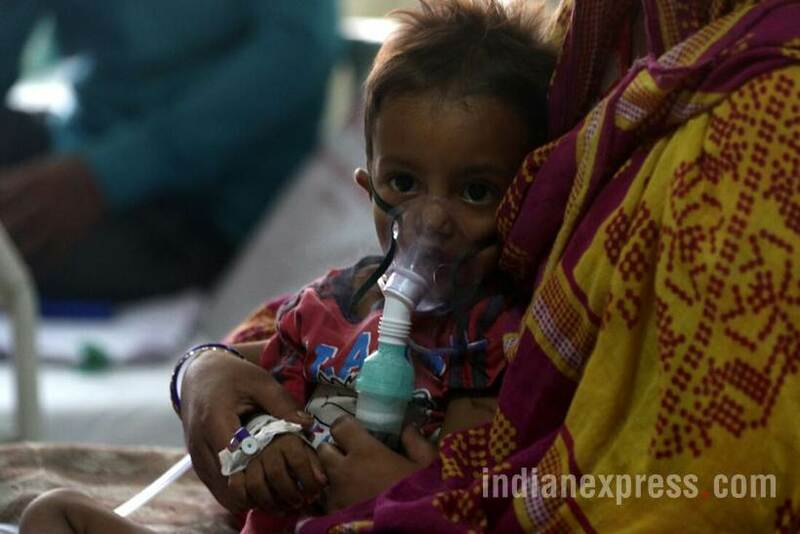 Parents of the kids with various ailments who were admitted at Gorakhpur’s Baba Raghav Das Medical College Hospital allege that oxygen supply for the patients was turned off as the vendors’ bills for the supplies had not been paid by the state government. Pushpa’s managers probably approached this as yet another business transaction: A vendor threatening to or actually stopping supplies when past bills are overdue is a common business practice. It is shocking to imagine how the managers didn’t stop to think that the supply of the ‘goods,’ (oxygen cylinders) would literally lead to life-and-death consequences. Having lived and worked in a dozen countries around the globe, I can understand - but still not empathize – with the constraints under which middle-managers operate. Unpaid bills of over 40 lakh rupees -nearly US$80,000 as the media reports indicate - is not a small amount by Indian standards. One can guess how a middle-manager at Pushpa Sales might have been under tremendous pressure to have the bills cleared. Perhaps his job was at stake too, and he decided to stop supplies to ‘threaten’ the hospital administration as a last resort. Similarly, hospital administrators are also business managers accountable for Profit and Loss and general operations and surely must have tried to ‘resolve’ the impasse. In all this, did they stop for a minute to think: the ‘goods and supplies’ in question are oxygen cylinders destined for a children’s ward were helpless, innocent children might actually DIE if they didn’t receive the intake of oxygen? Post mortems and review of records will eventually unearth the truth, but by then the attention of the media and digirati would have moved on. The hapless parents will be left behind trying to reconcile the loss, eventually attempt to come to grips with it. As a father who lost a child years ago, my heart goes out to the grieving parents. No parent should have to go through the tragedy of burying a child. It is just not right. Human lives are too precious to be squandered because of corporate greed and ineptitude of hospital administrators. Yesterday I had posted a set of Q&A about “technology addiction” but it seems the social impact of technology hoaxes go deeper. The PR instantly went viral and was picked up by mainstream media and Digirati: the story of an Indian high-school graduate getting a multi-million-rupee job offer had the right element of intrigue and Cinderella like aspect to it. Selected for Google's special programme, he will be trained initially for a year. During this period, he will receive a stipend of Rs 4 lakh per month. On completing the training, he will receive Rs 12 lakh per month. The information was released by government officials on Saturday. They said Google has told him to join by mid-August. By internet standards, this wasn’t even a rather elaborate prank. A quick call to Google confirmed the story was a hoax. So, why did Harshit, and more importantly his educated parents - Harshit's father is a high school principal - fall for this? And, why did they play along when media came knocking? The lesson here is obvious: there are an innumerable variety of hoaxes, pranks and tricksters on the web. When it comes to the internet, check and double check, especially from the source. How does India compare with the United States of America as far as software industry is concerned? Thanks for asking this interesting question. I have enjoyed an interesting career in the vibrant software and IS services industry in the past couple of decades, and got to live and work in a dozen countries across three continents. Talent pool: With hundreds of thousands of Computer Science and Engineering graduates, India has a much larger talent pool compared to the US. Cost and wages: The cost of living in India is lower than in the US and correspondingly, cost of software services are lower. Corporate spending on IT: Data from analysts (like Gartner) indicate that companies spend anywhere between 3- 5 % of revenues on IT. Taking this reference, multi-billion dollar, Fortune 500 and other American companies which have larger revenues spend much more on IT than their Indian counterparts. Why is technology so addictive? How do you get over an electronic gadget addiction?